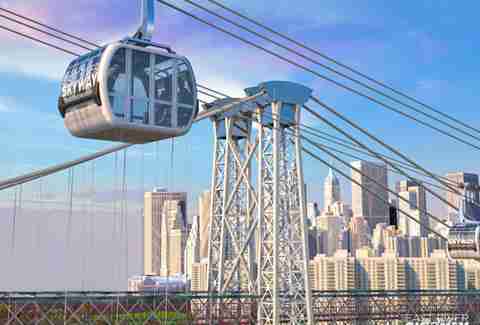 Glide over New York City in a cable car? Thousands of commuters crowd the platform at Brooklyn's Bedford Avenue subway station every day waiting for the L train to shuttle them across the East River. But things may be looking up. 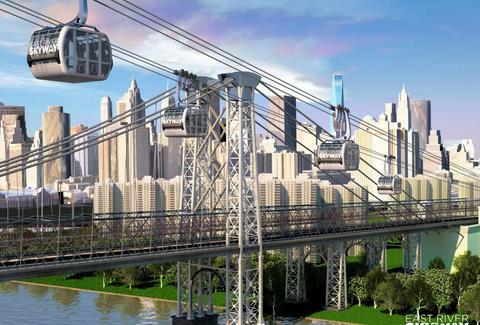 Quite literally, with the East River Skyway: a sleek, speedy gondola system that would connect Brooklyn to Queens and Manhattan, speeding up commute times while treating New Yorkers to show-stopping views en route. Inspired by gondolas in London, Singapore, and Rio de Janeiro, the project was proposed by CityRealty president Dan Levy. 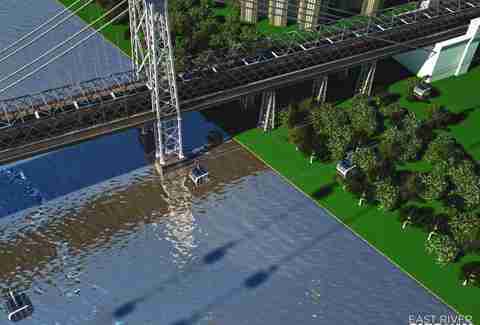 He noted that the East River Skyway could transport 5,000 riders in each direction per hour while averaging speeds of around 12-17mph. Not only that, but there would be zero emissions and it's sturdy enough to sustain winds of up to 75mph. 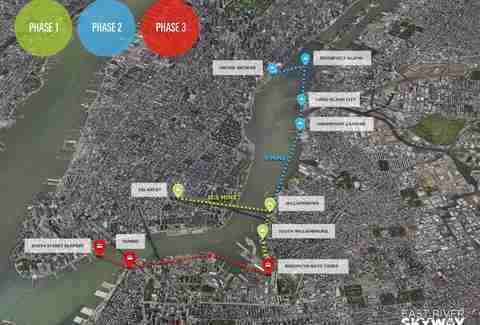 If Levy's ambitious idea is approved, the system would be built in three phases at an estimated cost of $100 million. Chloe Pantazi is an editorial assistant on Thrillist's travel team. She will do anything to not be next to the guy with BO on the L train that one time, ever again. Follow her on Twitter at @ChloePantazi.